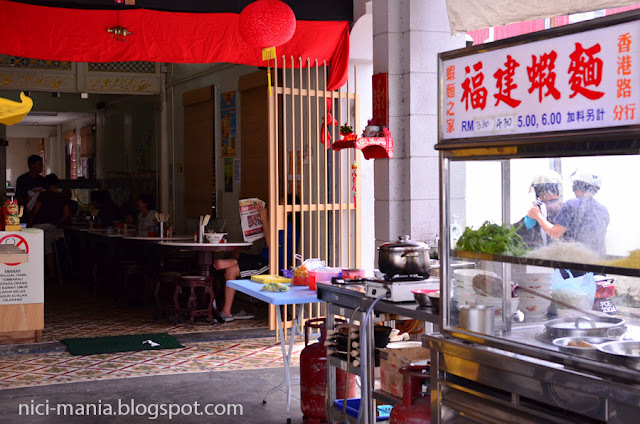 Unlike other hawkers in Penang that has a variety of local delicacies, this Prawn Mee Shop owns the whole coffeeshop and sells only Prawn noodles. 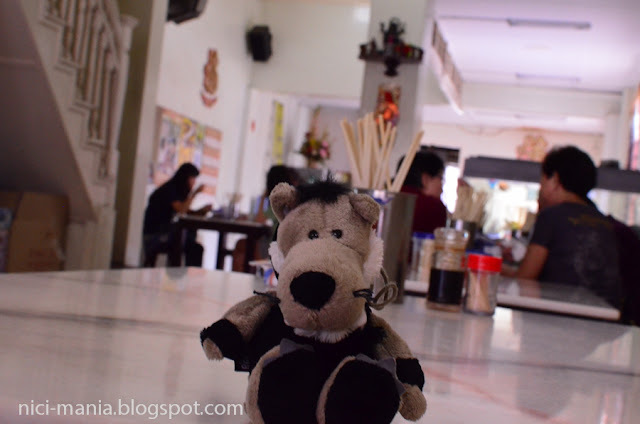 This Penang Prawn Mee Shop also sells "lor mee"
Hence we ordered both the signature Prawn noodles and the "lor mee"
"lor mee" is braised noodles with thick starchy broth cooked by prawn shells + 5 spice powder and other spices. 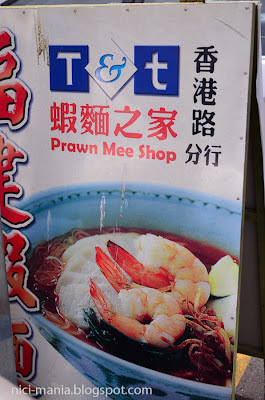 The reason why prawn noodle shops sell lor mee is because they share the same prawn broth. 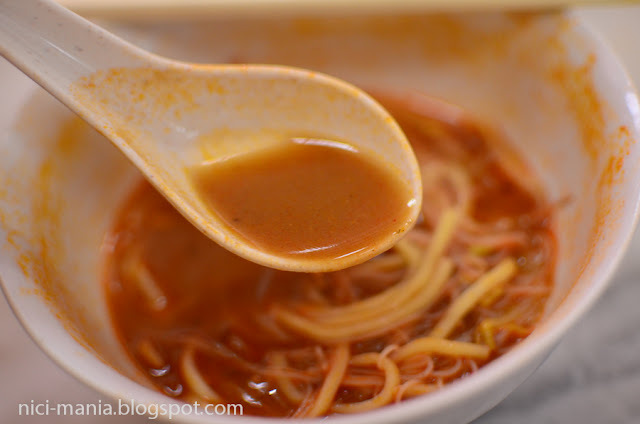 The Penang Prawn Mee Shop's prawn noodles has thick red prawn broth, slightly different from the rest of the prawn noodles in Penang. The prawn broth has a very strong prawn taste but it has some powderish texture within. 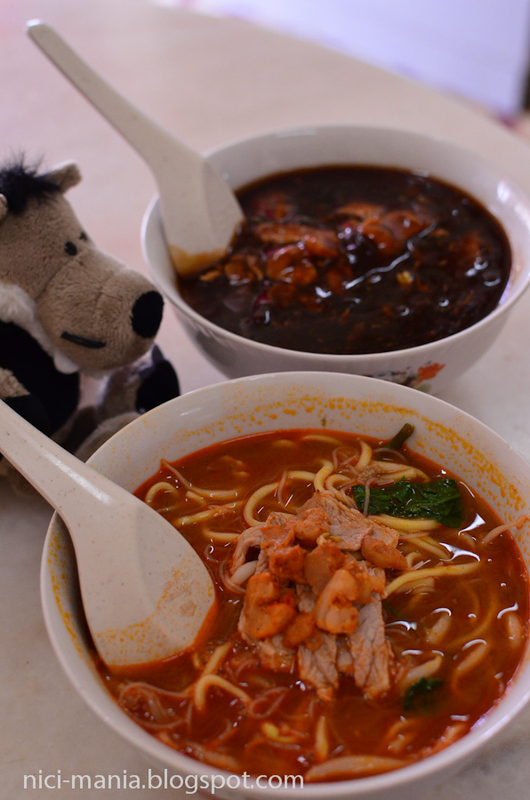 The prawn broth is quite overwhelming, not the refreshing type where you can eat bowl after bowl. 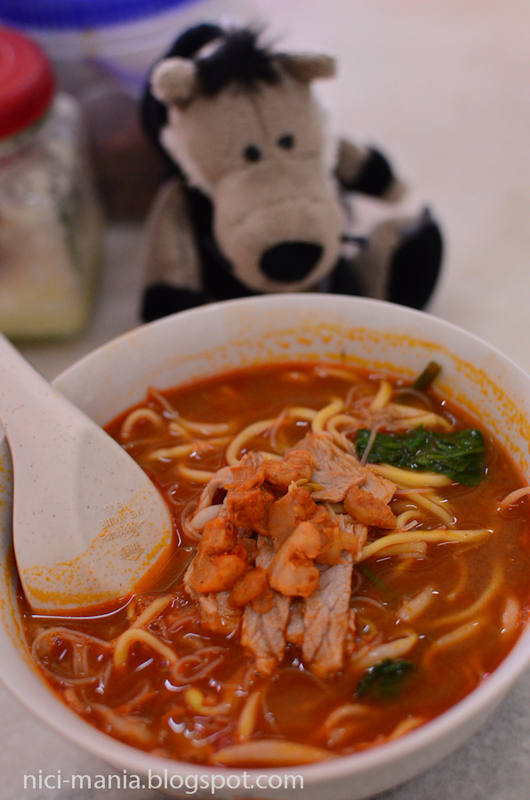 Penang Prawn Mee Shop is not exactly the 5 star prawn noodles, there are other tasty prawn noodles shop here in Penang. It is worth a try if you come by Lorong Selamat. 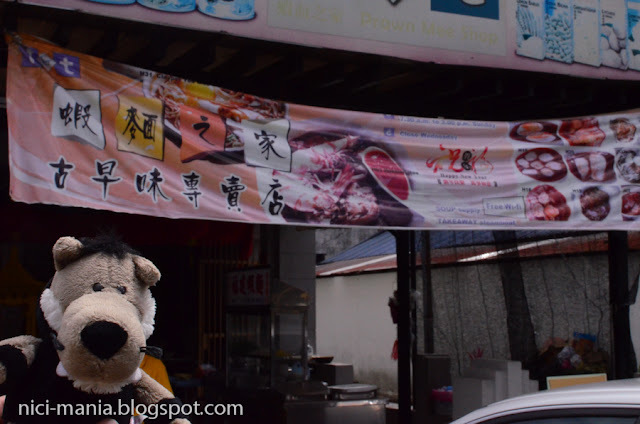 The entire street has lots of other Penang local delicacies to offer. Address: 127, Lorong Selamat, 10400, Penang. 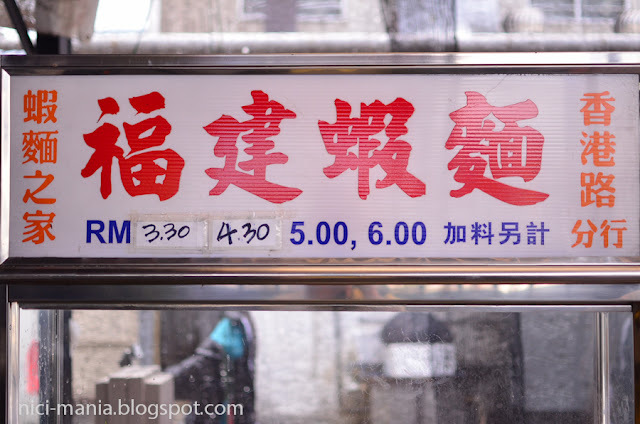 Business Hour: Monday to Saturday, 8am to 10pm; Sunday, 7:30am to 6pm. Closed on every Wednesday. 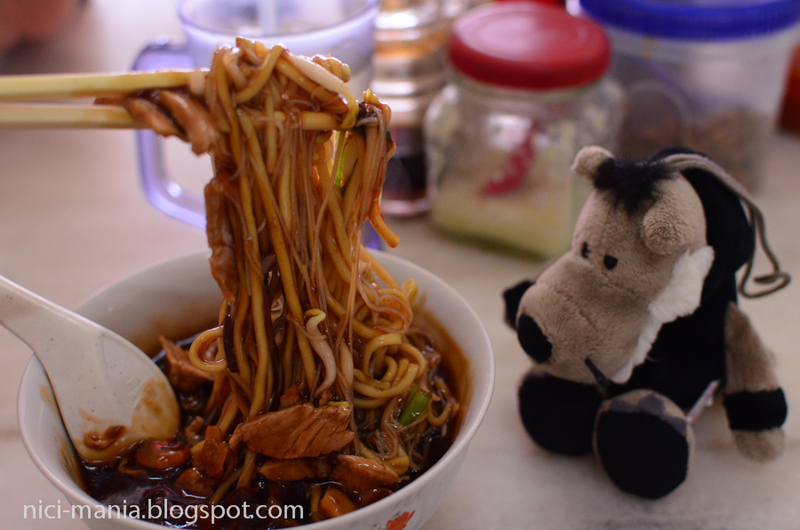 The noodles looks so yummy! did rocker wolf finish it by himself?? ?